Bremen is one of the greenest cities in Germany, with lots of parks and lush spaces throughout the city where you can take a break and relax. And in many of these green spaces, you can also enjoy a bite to eat. We’ve listed some of the best places for outdoor dining in Bremen. Have fun checking them out! 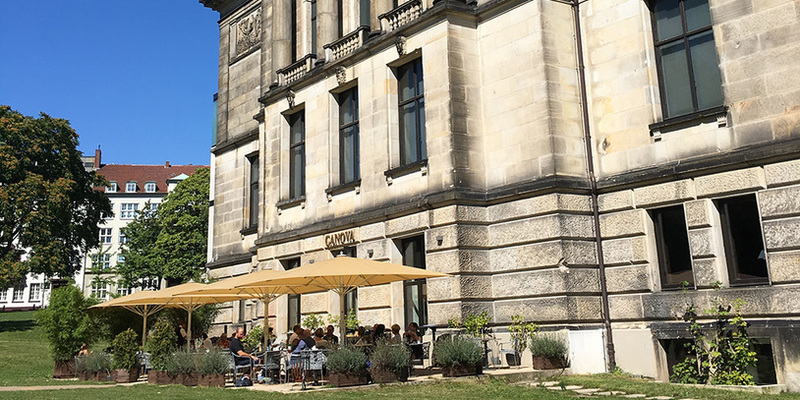 The Canova is located at the Kunsthalle and offers a wonderful view of the lovely Wallanlagen from its terrace. The Canova serves creative dishes made from regional products. 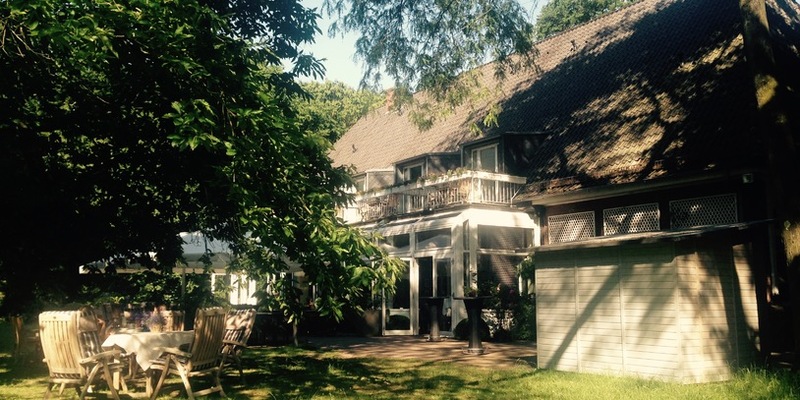 Located at the entrance of the Stadtwald, not far from the Unisee and Bürgerpark, is the Haus am Walde. Here you can enjoy some top-notch German cuisine in a large beer garden surrounded by nature. Why not combine the visit with an outing to the lake? Torte im Haus am Walde. 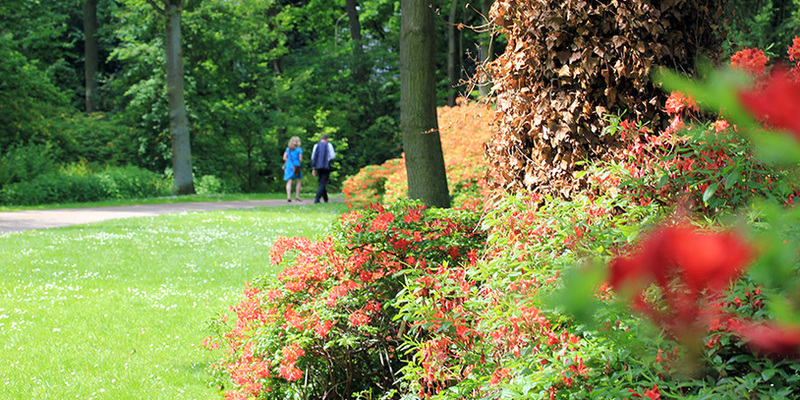 In the middle of Bremen’s green lung, the Bürgerpark, you’ll find the Meieri (the dairy). 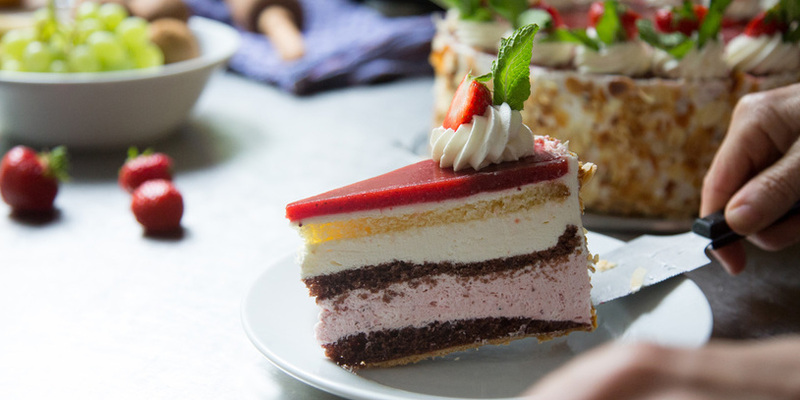 After a brisk walk, you can stop here for a slice of cake or a delicious meal, and enjoy the break from the hectic pace of the city in a bucolic setting. In addition to the Meierei, the Waldbühne (forest stage) offers a culinary hiatus in the Bürgerpark. Initially an exhibition pavilion, the building is encircled with trees and has a patio that offers lots of shady spots on a hot day. The Waldbühne specialises in homemade cakes and rustic cooking. There is also live music. 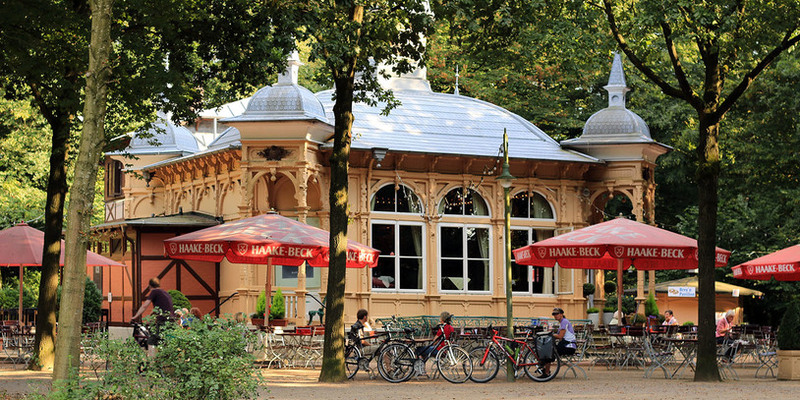 In the middle of the Wallanlagen, in the centre of Bremen, you’ll find the Kaffeemühle (the coffee mill). 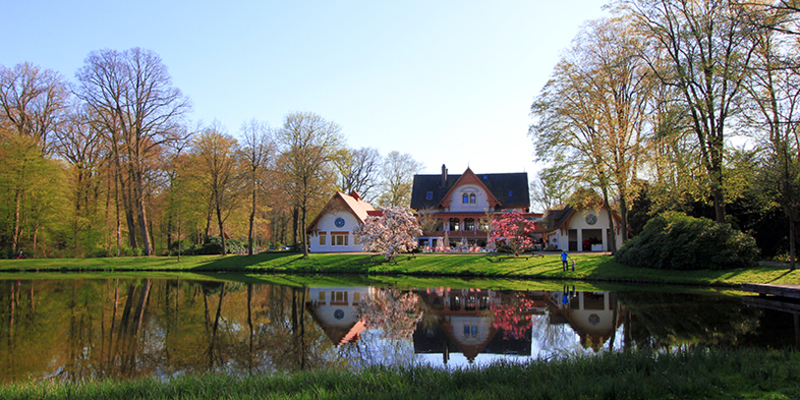 Featured in the background of the Phil Collin’s video "Take Me Home", from the spring through the autumn the Kaffeemühle is encircled by an ocean of blooming flowers. That’s probably the reason so many people –not only Phil Collin’s camera crew – want to photograph it. By the merry month of May, the namesake plants of the Rhododendronpark are already in glorious bloom. The park’s other plant varieties ensure the park is beautiful in the other months. Sat in the middle of this lush greenery is the Bloom Café and Restaurant, where you can enjoy delicious cake and good food. The two side by side parks, Höpkens Ruh and Mules Park, together create a spacious green area. In the heart of this expanse, you’ll find the Landhaus Höpkens Ruh in Oberneuland. From inside the airy conservatory or outside on the patio, you can savour gourmet food made with the finest ingredients, with a wonderful view of the beautiful park. In the middle of the idyllic Blockland, the Gartelmann family has run the Gartelmann’s Gasthof restaurant for five generations. 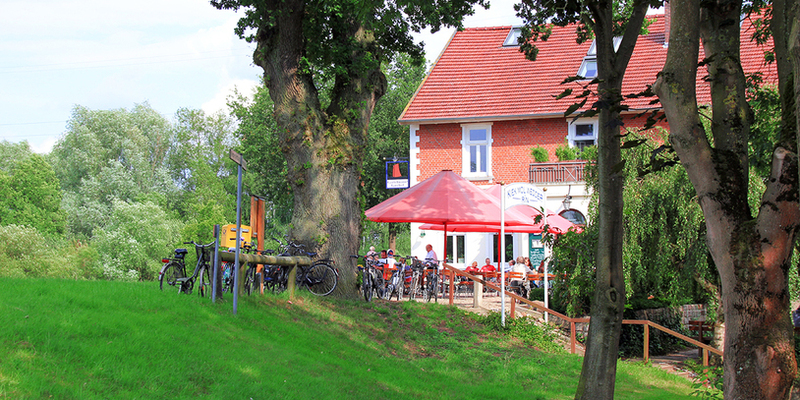 Stop off here during your bike tour to sample typical Bremen cuisine made with locally sourced ingredients. Take a mini-holiday at the Landhaus am Deich restaurant in Oberneuland. Enjoy a wonderful meal on the summer terrace in the romantic garden of the restaurant. 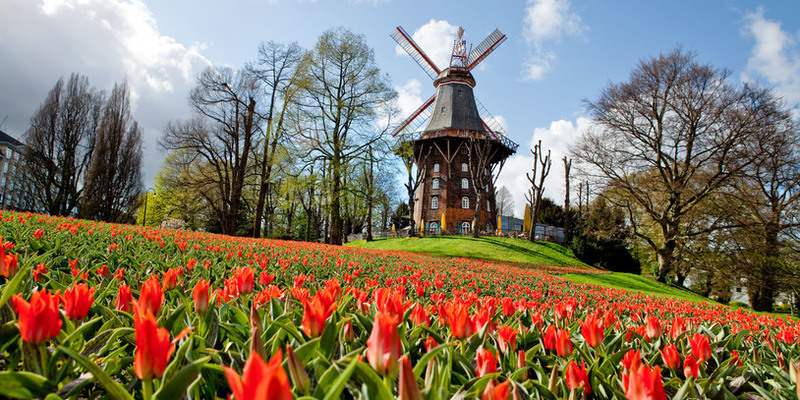 You can combine your visit with a trip to the nearby Wümme Meadows. Das Conava liegt direkt an der Kunsthalle und bietet einen schönen Blick in die Wallanlagen. Das Haus am Walde liegt nicht fern vom Unisee und Bürgerpark. Die Meierei liegt mitten in Bremens grüner Lunge dem Bürgerpark. Die Waldbühne liegt mitten in Bremens schönem Bürgerpark. Von der Terrasse der Kaffeemühle habt ihr einen tollen Blick auf die Wallanlagen. Das Bloom Café und Restaurant liegt mitten im Rhodendronpark und lädt nach einem Spaziergang im Park zum Verweilen ein. Das Landhaus Höpkens Ruh liegt direkt am Muhles Park in Oberneuland. Mitten im Bremer Blockland liegt Gartelmann`s Gasthof. Am Hodenberger Deich liegt das Landhaus der Wohnküche.